Home » Academics » Schools » Greehey School of Business » Faculty » Seongbae Lim, Ph.D.
Seongbae Lim, Ph.D., is Professor of Information Systems at St. Mary’s University. He specializes in IT-driven innovation, blockchain technology and database management. His prior teaching experience includes the University of Nebraska at Lincoln and State University of New York at Geneseo. Lim’s recently published books include Living Innovation: from Value Creation to the Greater Good, Meta Innovation and Blockchain for Smart Governance. His recent works appear in the Service Business, International Journal of Knowledge Management, and International Entrepreneurship and Management Journal. He has delivered more than 200 special lectures and keynote speeches about new innovation strategies for world-renowned institutes such as the United Nations, University of California at Berkeley, Beijing University, Complutense University of Madrid, Seoul National University and the National Assembly of the Republic of Korea. Lim has been selected for Marquis Who’s Who in America along with Who’s Who in the World since 2005. The International Herald Tribune has featured Lim regarding his role in building the relationship between U.S. and Korean universities. In addition, as a columnist, Lim contributes regularly about spiritual capital to Guideposts. Lim is active in the Association of Information Systems, Decision Science Institute and the Pan Pacific Business Association. He has also served as an editorial board member of Service Business and Journal of Convergence Information Technology. 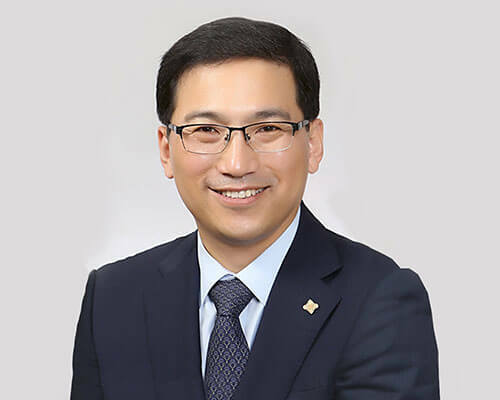 He is a director of operations for the Pan Pacific Business Association, visiting research fellow for Asian Community Center, member of National Unification Advisory Council of Korea, and secretary general for Global Forum for Building School Bullying Prevention Systems.